Kristen Davis at the Platinum Pony in Easthampton in September 2014. Davis recently announced that the bar would not reopen as anticipated following a fire last fall. Suzanne Laroque Photo. 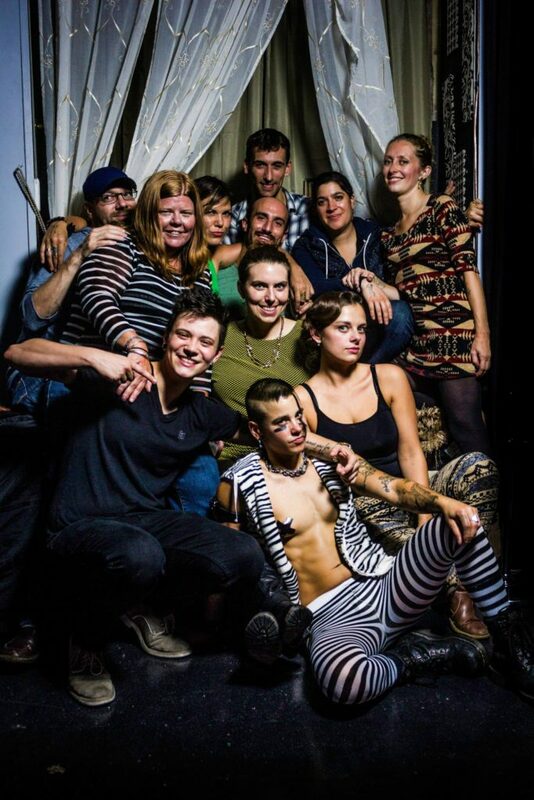 Liz Perry, center, with friends at Pride Week in Northampton in 2015. Sean Donovan, left, and Kurt Fowl at an event called "Zebras Are Ponies Too." CouchPet Photo. 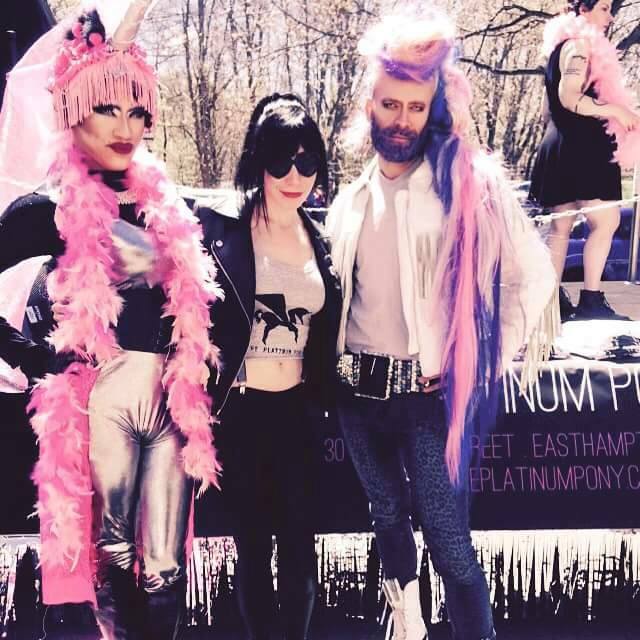 It’s official: Easthampton’s Platinum Pony has taken its last ride. 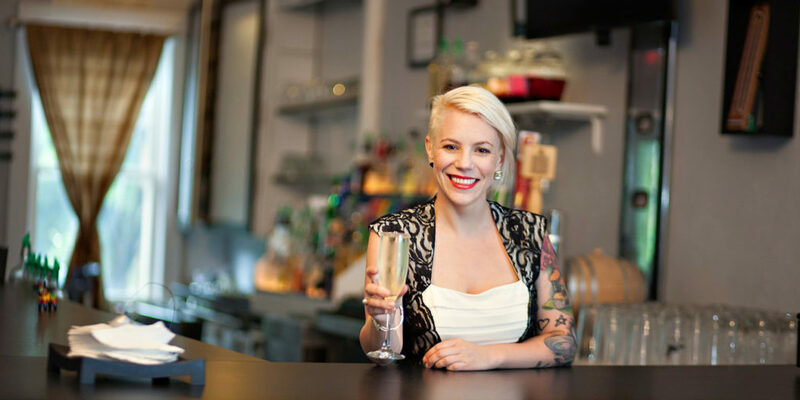 The business’ former owner Kristen Davis announced that the bar, which closed its 30 Cottage St. location last fall following a suspected electrical fire, would not reopen as planned. 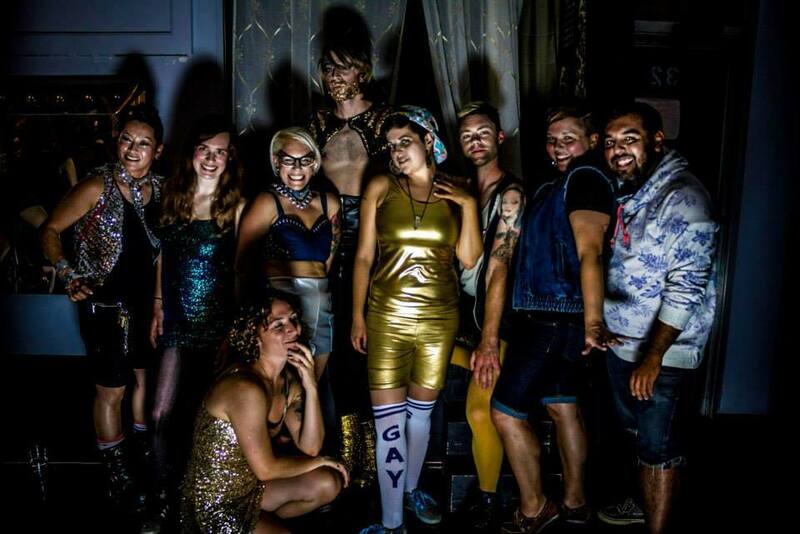 The Platinum Pony had earned a following for its queer-friendly atmosphere and events before the fire on Oct. 5, 2015. According to Davis it wasn’t practical to reopen the business without a clear timeline as to when repairs would be completed. Davis said that prolonged disputes between insurance companies — her’s and building owner Pragneshkumar “Pete” Patel’s — had led to lengthy delays in making the repairs. Without a clear timeline, she said, it was no longer practical to reopen. Though no one was injured, the fire resulted in $175,000 in damages and rendered most of the building without power for several weeks, forcing businesses to close in the interim. The State Fire Marshal’s Office determined that the fire started in the basement and was likely the result of an electrical problem. Davis says she was aware that problems with the electrical system existed and that she had notified the previous landlord, Young Kee Lee. Platterpus Records and Easthampton Variety reopened soon after the fire, while Rene’s TV Service closed its storefront and now operates by appointment. The Platinum Pony, which suffered the most damage and was deemed unsafe for entry, hung in limbo. The Pony’s space is yet to be fully restored, though some renovations have begun. The building at 20-32 Cottage St. is currently owned by Patel, who also owns and operates Easthampton Variety at the building’s 20 Cottage St. address. He says it was difficult losing three tenants at once — especially since he had just purchased the building three weeks before the fire — but that he expects renovations to be completed by Dec. 31. Davis said that the closure and subsequent delays left her without an income for several months and rendered her financially unstable. She had been paying both her family’s rent and that of her mother, but was no longer able to do so. She was forced to move her family in temporarily with friends in Vermont, where she found temporary work as a waitress at a ski resort. Her mother moved in with family in Florida. Davis returned to the area in May, she says, after being told that she would be able to reopen the next month, but soon found out that repairs could take anywhere from an additional “two months to two years.” Davis tried in vain to find an affordable location for the Platinum Pony before reaching the decision not to reopen. Just before the fire, former Platinum Pony events coordinator Liz Perry had been in talks with Davis — a serial entrepreneur — about purchasing the business. The Platinum Pony had employed roughly 20 workers, who were all left unemployed. The closure had a ripple effect down the supply chain, with suppliers feeling the hit. In addition, Davis said she made it a core part of the business’ mission to make a difference in the community. 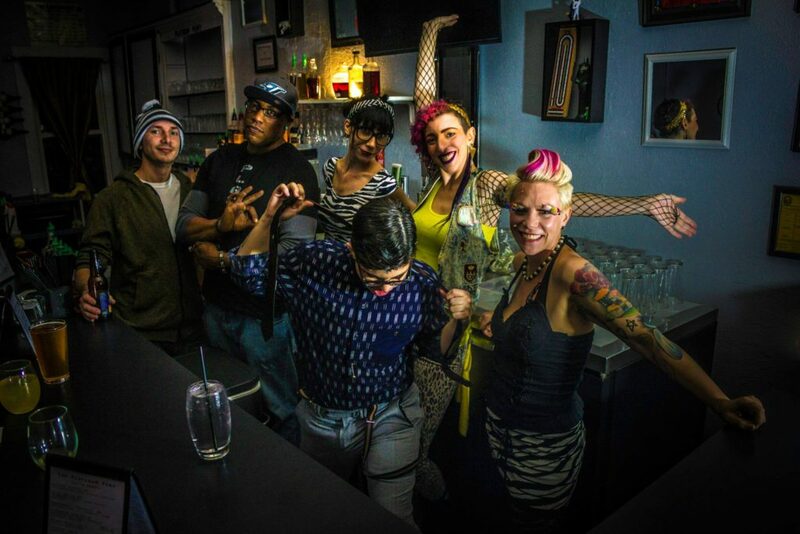 The shuttering of the Platinum Pony, in combination with the planned closure of Diva’s in Northampton, has many in the queer community feeling that there are a shortage of queer-specific venues. 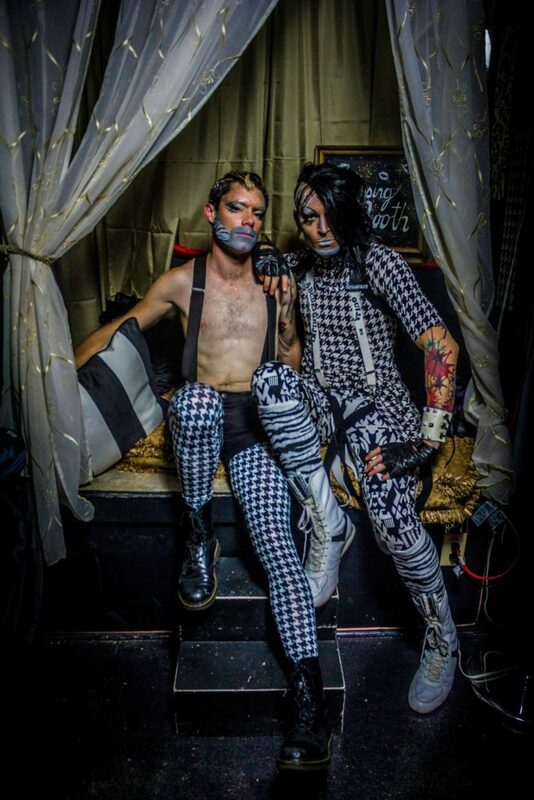 Luckily, according to Davis and Perry, venues like Gateway City Arts are taking up the reins by hosting many of the events that originated at the Platinum Pony. Meanwhile, new businesses are coming to the building. Mill Town Deli, expected to open this month, was among the first tenants to sign a lease. Patel says he is currently in touch with four people interested in leasing the former Platinum Pony space. Davis has started a new career as a laser tattoo specialist at Disappearing, Inc., just a few doors down from the former Platinum Pony location. She says the experience has inspired her to take on a new project: She and her partner, Amy Davis, recently purchased a large Victorian era home in Holyoke, which they’re restoring. They intend to establish an affordable communal living arrangement for mature professional women.